Specifically formulated from a unique blend of nitrile the Black Mamba Glove was designed to be the toughest disposable glove on the market today. 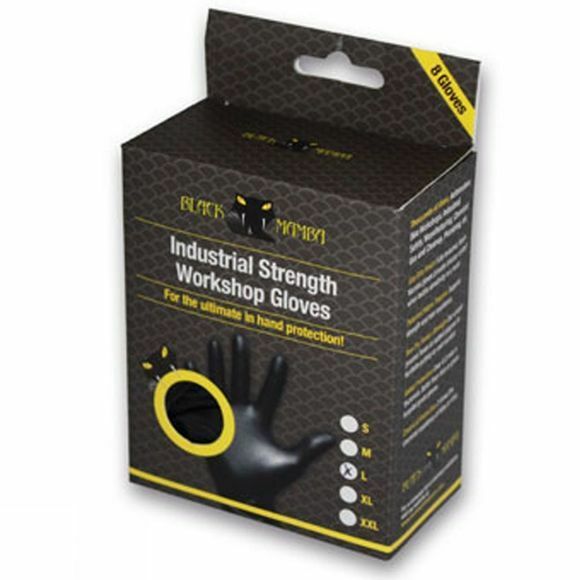 Black Mamba gloves are 3 times thicker than standard disposable gloves, increasing puncture resistance and providing superior anti-tear strength. They feature a textured Grip Rite finish for precise contact and a tactile sensitive contact.